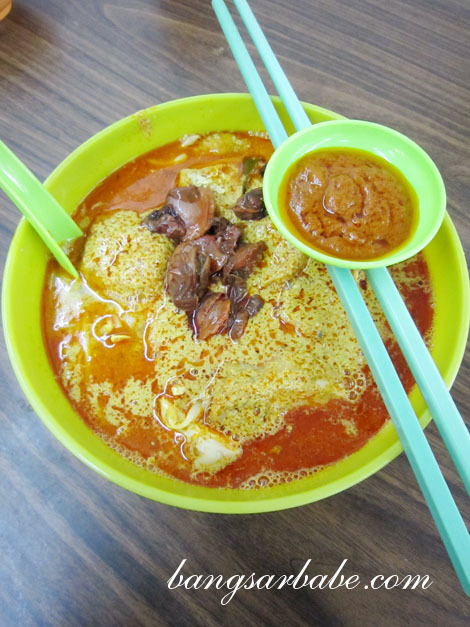 Wantan mee isn’t something I crave for unless it comes with curry laksa broth or topped with flavourful pai kuat. 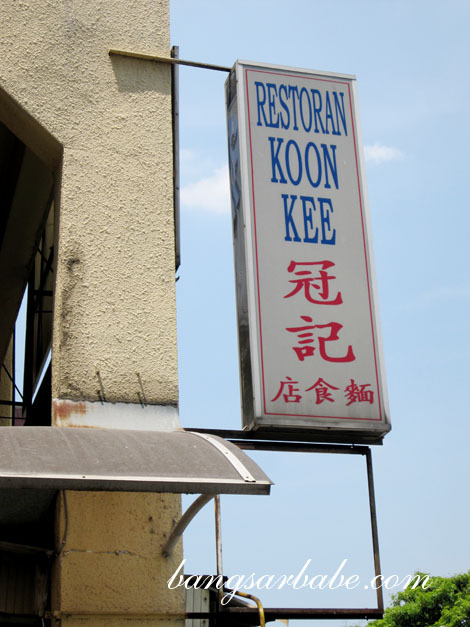 My first Koon Kee experience was at age 17, when a friend took me here for lunch after finishing a school project in Petaling Street. It wasn’t a pleasant lunch – the place was filthy and I spotted a huge rat running around. The wantan noodles were sloppily placed on the plate and it was way too oily to enjoy. My second visit 2 years ago further etched my disapproval of Koon Kee’s wantan noodles, and despite the close proximity of my current workplace to Koon Kee, I never set foot in that stall. 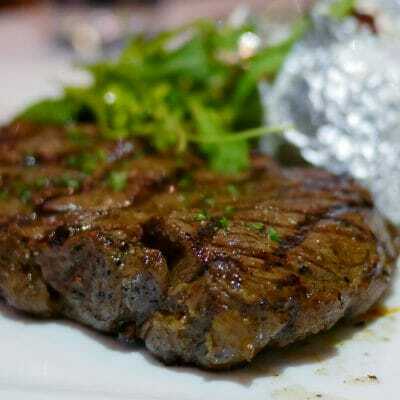 Those unpleasant memories of Koon Kee played a big role in my decision not to set foot in the Damansara Utama outlet. But after more than 2 years of being a stubborn old cow, I finally gave it a shot. 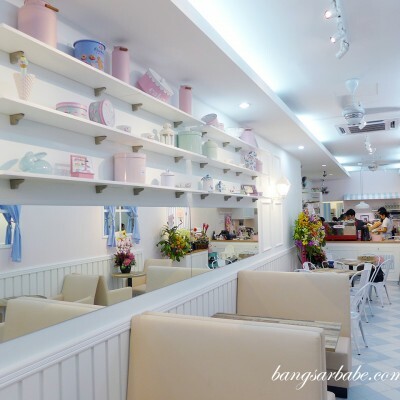 The Koon Kee in Damansara Utama I mean. Since I had a dental appointment a few doors away, It was somewhat convenient to eat there. Besides, rif found a parking spot right in front of the shop. Good thing we got there before the lunch crowd kicked in – my order of wantan mee (RM4.50 – small, RM5 – large) arrived in just 10 minutes. Unlike the Petaling Street version, this plate of wantan mee came with cabbage instead of the usual mustard greens. Taste wise, it was decent. The noodles were evenly coated with the sauce, comprising dark soy sauce, soy sauce and onion oil. Texture wise, it was nicely al dente up to the last bite. Sadly, the char siew slices were lean and dry with hardly any aroma. 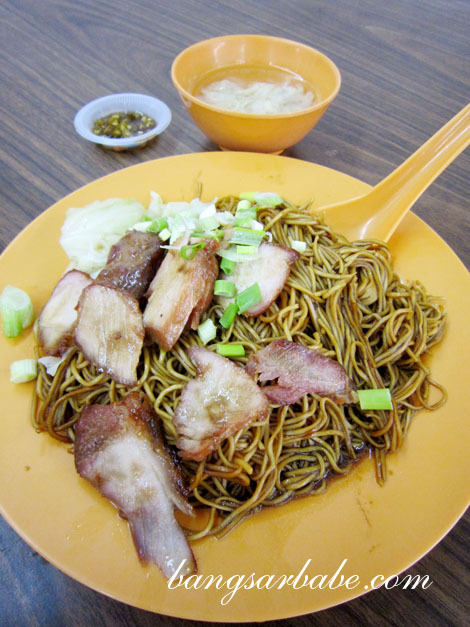 I prefer the wantan mee at Hock Lim in PJ State – the gravy is darker and more flavourful while the char siew slices have a better ratio of fat and meat. 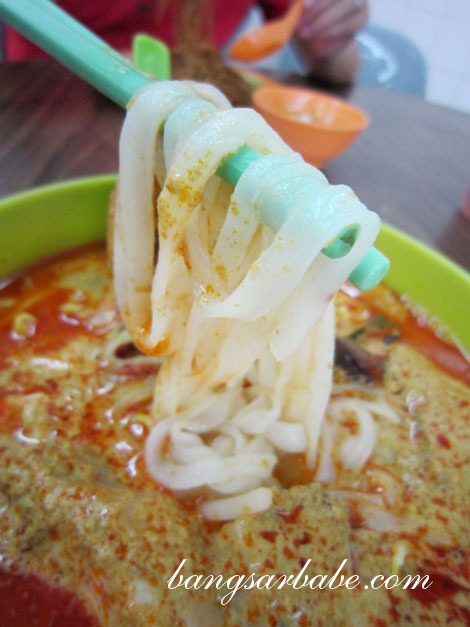 I also tried the curry laksa (RM4.50 – small, RM5 – large) which was nothing to shout about. I guess you can’t always trust the tips on Foursquare. The broth was spicy, but lacked richness and fragrance from the coconut milk. On the plus side, the aunty was pretty generous with the raw cockles and chicken slices. Verdict: Decent wantan mee, but not to my liking. 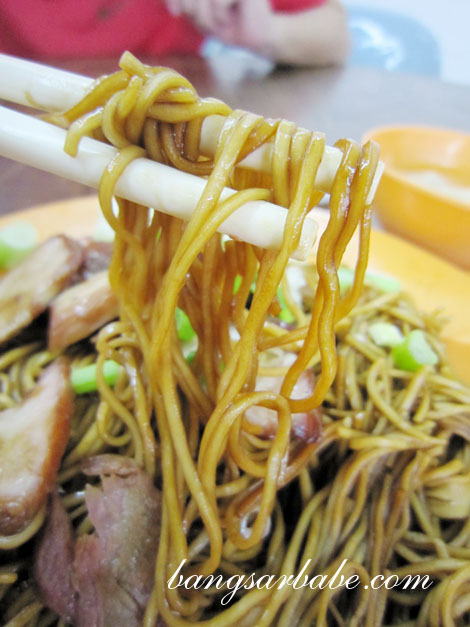 Would do anything to eat wantan mee now!! 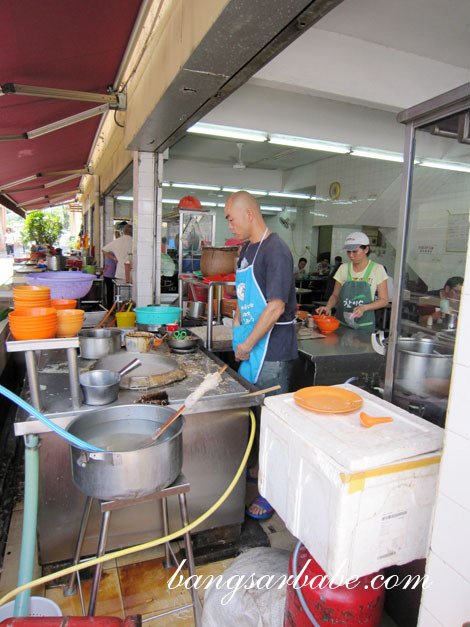 Learn to make wantan mee? But I understand how you feel. Was so desperate to eat pan mee when I was overseas, I made some for dinner. Tasted anything but pan mee. Lol! Tell me about it! I can get HK style wanton mee(very dry noodles) but as usual it’s at least an hours drive to the city, same for dim sum. Sigh…Can’t get the proper thick soy sauce here, everything mainly the sweet type(Cap Kipas Udang, Ayam Brand). 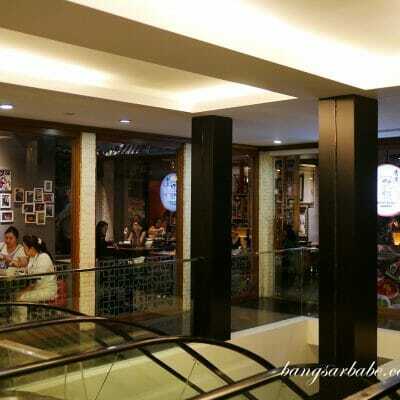 I saw a Koon Kee restaurant at PJ Uptown ..
is it one of the branch? 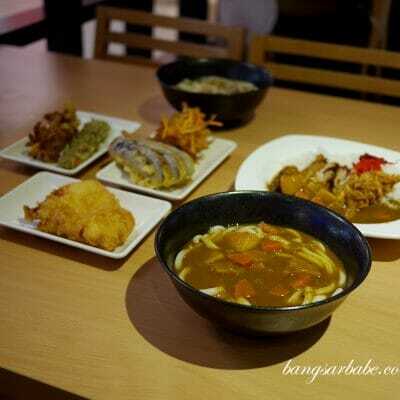 Try Big Fat Guy restaurant’s authentic Penang prawn mee, you won’t regret it. Same row with Uptown Wondermilk. Hello girl, have you heard of a pan mee stall in KL called ‘Jo-jo’ pan mee? I’d not been in KL for a long time, and last week one of my friend from Kuching mentioned about it, and I was totally oblivious! 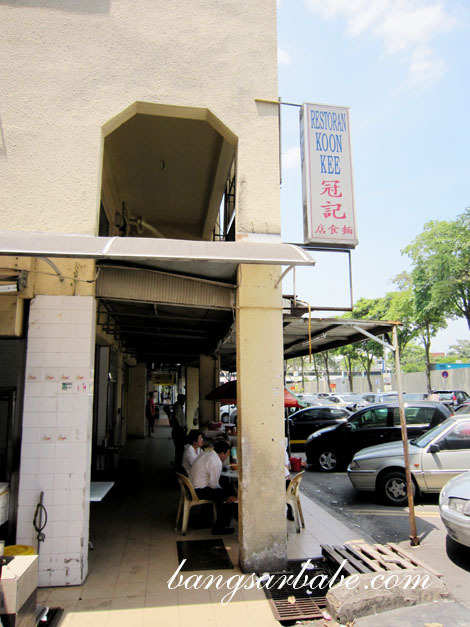 This Koon Kee might not be the branch of the famous Petaling Street one. The texture of the mee is different. I’ve come across a few wantan mee stalls/shops who use the same name – either by coincidence or to ‘tumpang’ the original shop’s popularity. Looks awesome. I haven’t try it yet.